Due to general wear and tear, old boilers can be found to convert as little as 60% of fuel, which has a significant impact on your heating bills. When you decide to purchase a new, modern boiler, or repair your old one, the team at It's Plumbin Grate will be on hand to install it for you. 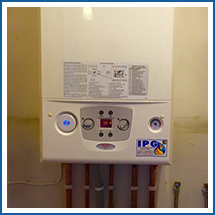 If your boiler is making noises or your radiator has cold spots, power flushing is the ideal service for you. 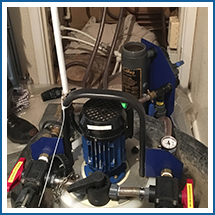 Using state-of-the-art pumps, we flush your central heating system with chemical-filled water, clearing blockages and improving your system's efficiency. The safety of tenants and the property they are renting is the responsibility of the landlord. It is recommended that appliances, such as cookers, in rental properties are tested on an annual basis. 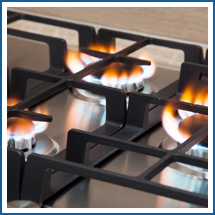 A successful test will result in a gas safety certificate being awarded. Call us now to acquire the assistance of qualified plumbers and heating engineers. Avoid the disastrous damage that can be caused by broken plumbing, gas, and heating systems by acquiring the assistance of the professionals. Based in Telford, Shropshire, It's Plumbin Grate employs a team of plumbers and gas and heating engineers who complete work with all types of domestic system. Covering boilers, central heating systems, gas fires, cookers, and hobs, we use more than 40 years of combined experience to provide the solution that you need. Our family-run business has been operating for more than 30 years. During this time, we have developed a friendly and professional approach to our work, always treating customers how we would like to be treated ourselves. Working throughout Shropshire and the West Midlands, we are proud to have developed an enviable reputation. Contact our plumbers and heating engineers now, in Telford, Shropshire, for more details about our work.